Home affairs has added a biometrics security feature to SA IDs. As government institutions explore and introduce biometric systems, concerns have been raised about how the state intends to use the collected private information to police and control South African citizens. Last week, Right2Know Gauteng (R2K Gauteng) took to the streets in protest of the national smart ID card system. R2K Gauteng wants the end of the use of biometrics and to keep the State Security Agency out of the country's ID systems. 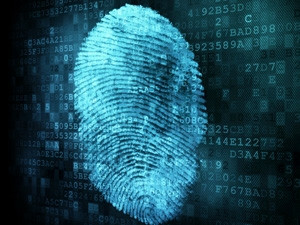 R2K Gauteng has questioned government's use of biometrics in the country's new identification system. It has rubbished government's claims that smart IDs will keep citizens safer from identity theft and crimes such as social grants fraud, because it is linked to fingerprints. According to the human rights group, biometric information is about controlling people. "Many governments are keeping big databases of the private, biometric information of millions of ordinary people. This includes storing the fingerprints, faces and irises. These databases are collected for one purpose (such as receiving social services), but then used for other purposes (policing, border control, debt collection)." However, integrating biometric systems into the smart IDs is more about where the world is going for national ID systems rather than state control, says Davina Myburgh, director of core credit for TransUnion Africa. It is more about ensuring accurate verification and additional fraud control measures, which would benefit the population more than control it, Myburgh points out. According to her, the infrastructure that would be required to control a population using biometrics would have to be significant. Myburgh explains: "Concerns around security of data are generally valid and steps to secure data no matter what format it is in will be required. The same can be said for the information stored on your mag stripe or chip on your credit card. "I am not certain how home affairs plans to integrate biometrics into smart ID cards but should they be able to do this in a secure manner, this would be highly beneficial in combatting fraud as your fingerprint could be verified against your smart card. This would also be consumer-centric as it would shorten application and verification processes." In 2013, the home affairs department began the national rollout of smart IDs. The department indicated the primary reason behind the introduction of the smart ID card is to clamp down on identity fraud. As the department races to replace 38 million green bar-coded IDs, government has continuously lauded the security features of the smart ID card, saying the card will be "almost impossible to fabricate". Myburgh agrees that including biometrics on smart IDs is about creating an easier verification process for consumers by enabling biometric verification in the ID verification process. It is one card containing all required information to enrol a person into a biometric system and to verify an individual's identity on transaction, she notes. "This card could serve as a source of verifying ID at application and transactional levels across a host of services, including applying for a driver's licence, medical care, bank account, boarding a plane, etc."